OK, in the case of soups, this--the secret ingredient is time. Soup does needs to sit. But on the plus side, you can make enough for an army and then freeze half of it. My Japanese mom's Portuguese bean soup is pure comfort food. Nothing like it when the weather is cold and miserable, even in Hawaii! I make a ton of soup, but right before I add the macaroni, I'll divide it in half and freeze the soup without the macaroni. Macaroni most definitely does not freeze well. When you defrost the soup, add another can of V8 if necessary, then add macaroni. Dice up Portuguese sausage and brown well. 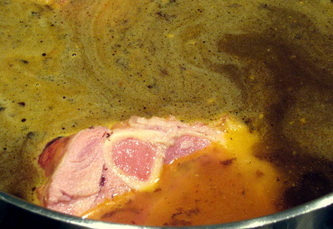 Add ham hocks and water and then boil until they fall apart. This takes about 4 hours, but it's a very low-maintenance process. 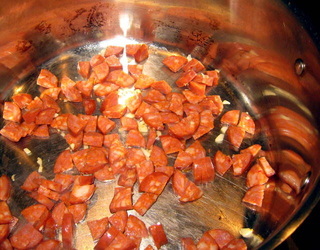 Add sausage and boil until cooked. Add more water if necessary. Skim out the hocks, skin, fat, bones, marrow (i.e., everything except the meat). Refrigerate overnight. Skim off the hard fat. This is a gross, but necessary step. Heat and add the onions, parsley, bay leaves, marjoram, and pepper. When the onions are soft, add carrots, celery, tomatoes, and V8. Simmer for about 45 minutes. Add kidney beans. Simmer for another 30 minutes or so. 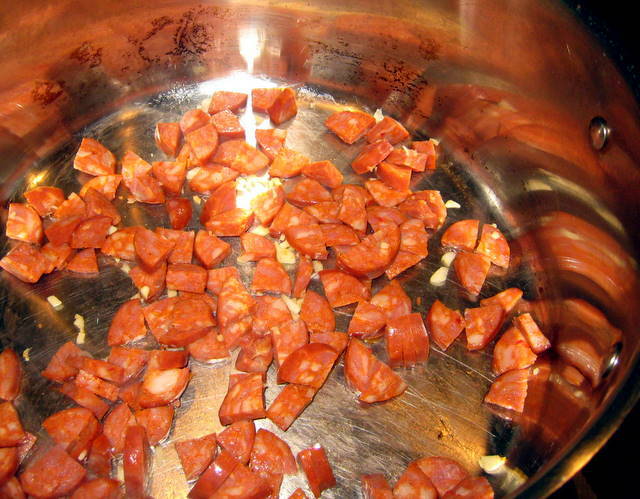 Bring to a boil, then add the macaroni last, and water with a little Hawaiian salt and pepper if necessary.